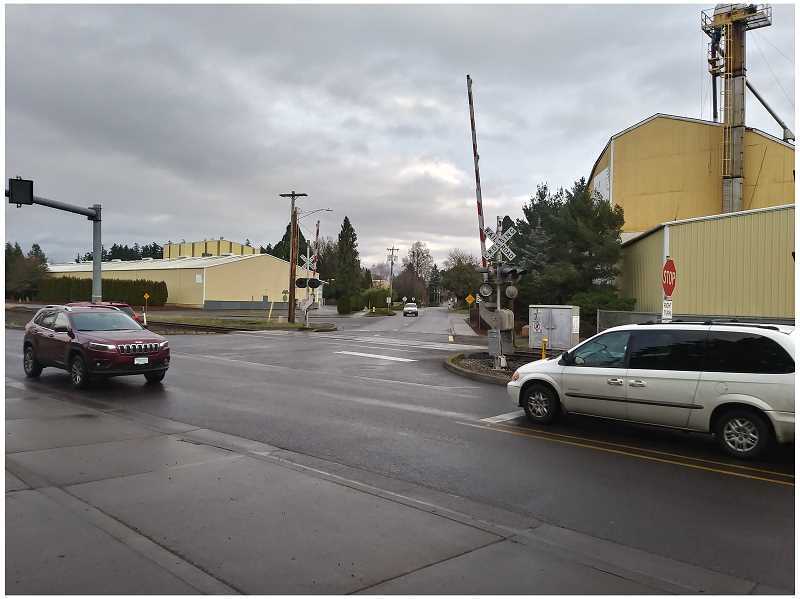 Realignment and safety-improvement work on Hardcastle Avenue at the Union Pacific Railroad crossing and Front Street remains a primary transportation infrastructure objective in Woodburn – and a challenging one. In December of 2016 Woodburn City Council awarded a $214,660 contract to PBS Engineering & Environmental for design engineering, railroad coordination and construction management. Woodburn Public Works Director Eric Liljequist presented an updated overview of the plan's status to the council on Monday, Jan. 14. At this point it is not clear when the construction work will begin or how long it will take once it does. Establishing a beginning date hinges on coordinating both rail and road crews. "Union Pacific has two crews: they have a signal crew and a track crew, and they (need to) coordinate with each other," Liljequist said. "If the two Union Pacific Railroad crews can complete their respective work in a continuous manner, then the entire project duration should be an estimated 3-to-4 months," Liljequist said. "If there is any delay in the Union Pacific Railroad work crews' schedule, for any reason, the project duration could be 6-to-9 months or longer." Union Pacific routinely addresses crossing issues, and the rail company is meticulous about the details. "Railroad crossing projects do take a lot of coordination between the railroad, cities, and contractors. This is standard procedure for rail-related projects," Union Pacific spokeswoman Hannah Bolte said. "The project design is complete and the agreement is being prepared. It will take some time for the agreement to be finalized by all parties. The project work cannot start until the agreement is finalized." Liljequist's power-point presentation conveyed that 95 percent of the city's design plans are finalized, and current plans aim for construction work to be completed this year. It also underscored a number of challenges and highlighted a higher price tag than originally estimated. Among the challenges is coordinating the work schedules. 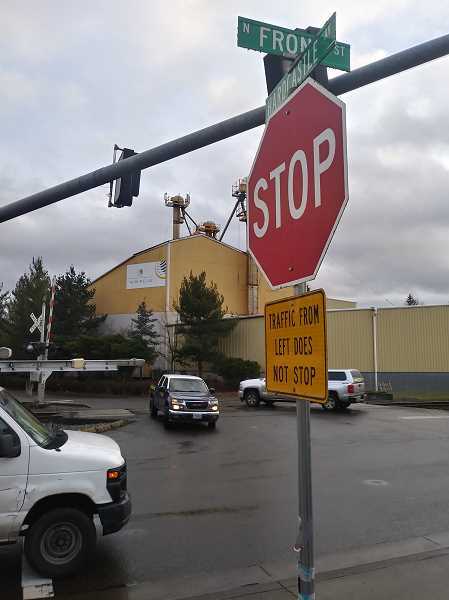 Road construction crews will need to coordinate with the two rail crews, along with Portland General Electric to relocate utility and telecommunications infrastructure in the area, while also configuring a temporary truck route designation for Hardcastle Avenue traffic. The city also needs to obtain an easement from Union Pacific to attain a widened public right of way. The project was initially estimated to cost about $1.2 million. That has swollen to $2,131,000 amid new factors, including: updated Federal Railroad Administration requirements; Union Pacific's limitation on gate lengths, necessitating four gates at the intersection; the realignment requires a wider crossing for trucks due to the relative narrow width of Front Avenue. Other cited price-increasing factors include higher costs to Union Pacific, the easement and overall construction costs. The project is paramount due to safety. Instead of intersecting Front Street in a traditional gridded "T" approach, Hardcastle Avenue intersects at an angle, which creates an especially awkward turn to the north. The unwieldy intersection has been the site of multiple accidents over the years, including a tractor-trailer crash with a train in 2011 and a pedestrian fatality in 2009. One final detail on the city's end is establishing a detour during the construction period. 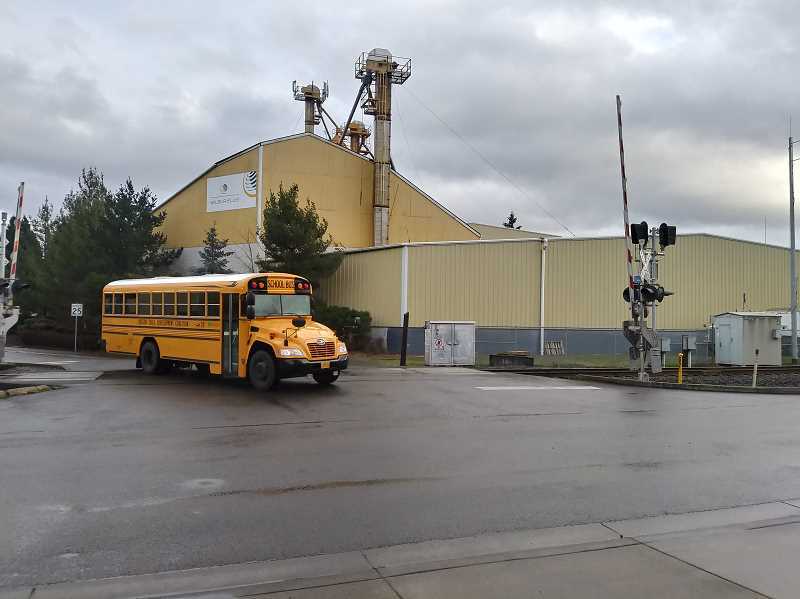 "We still need to work the details out on potential project detours, but we do know that Hardcastle Avenue will be included as an important project route for the Woodburn Fertilizer Plant and local residents," Liljequist said.